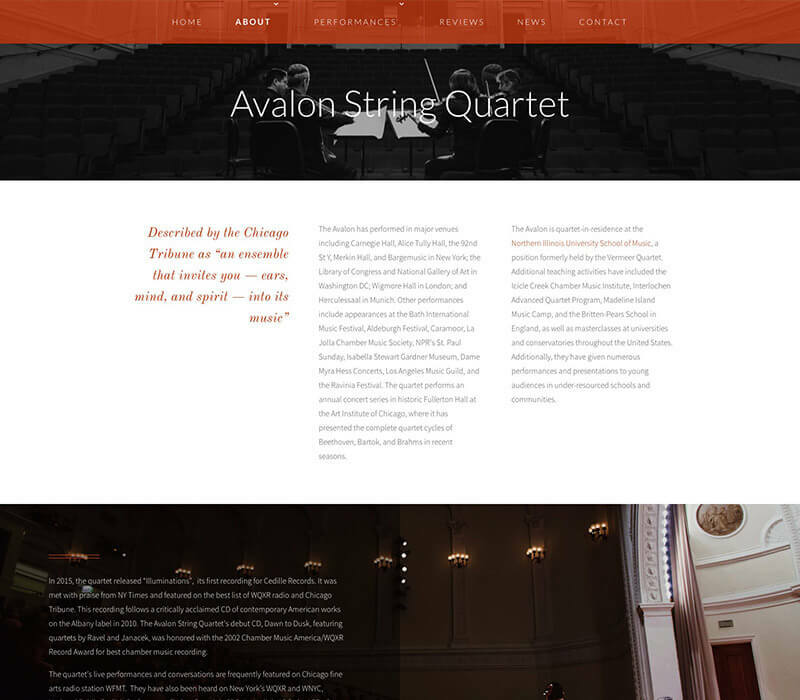 Four talented, musically inclined individuals form the Avalon String Quartet. This distinguished ensemble has performed at venues across the world and has gained praise as one of the country’s leading chamber music ensembles. Each performance exudes their dedication to the art of music and presents an enchanting and completely captivating environment. 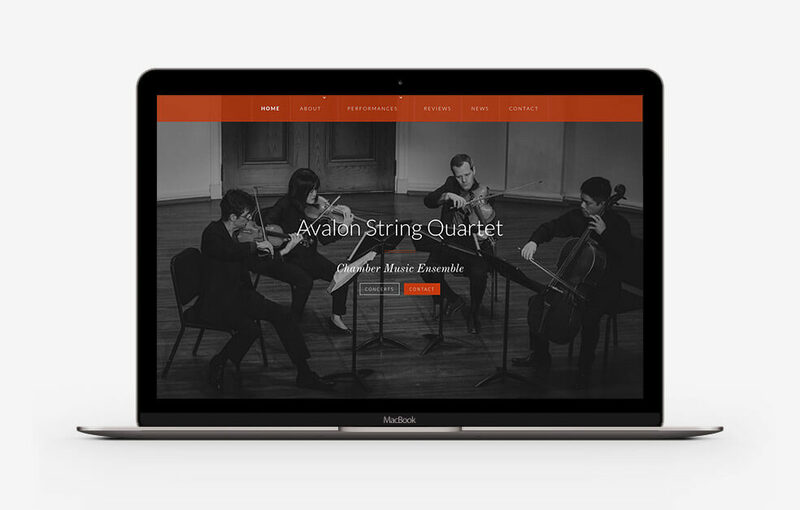 The Avalon String Quartet reached out to us in search for a new website that would deliver a completely new and updated experience for visitors. A focus on their upcoming performances was of high importance as was presenting an overview of who they are. In addition to improving the front-end of their website, they also wanted to improve the ability to update website content on their own. 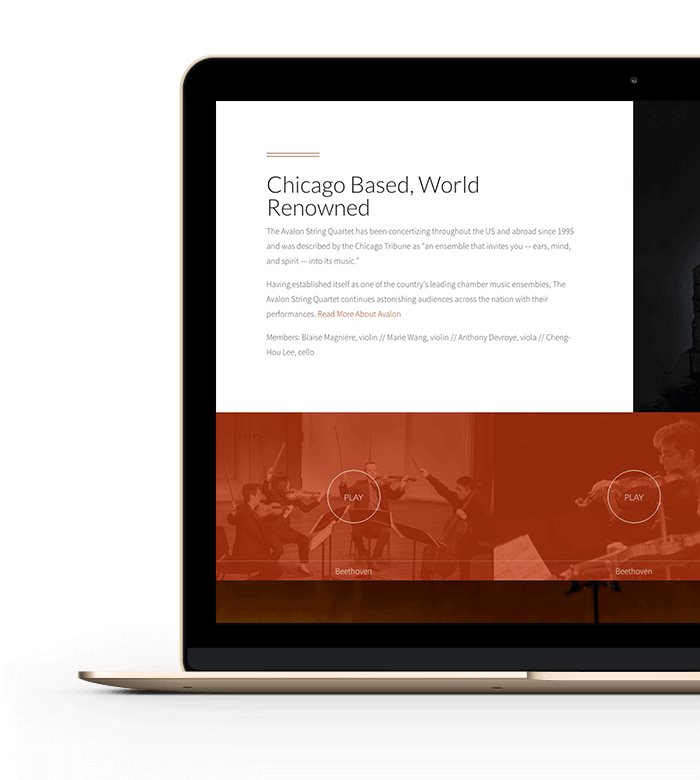 An attractive, informative performance page was high on our list of website objectives for this website redesign project. 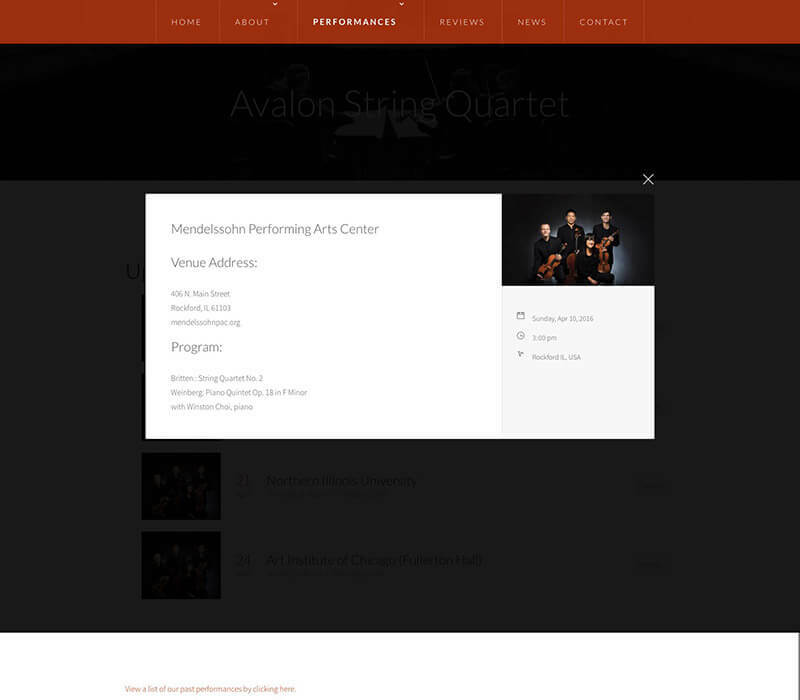 We designed a layout to highlight the concert details; to complement each listing and enhance visitor experience, we allowed an image to be displayed as well. 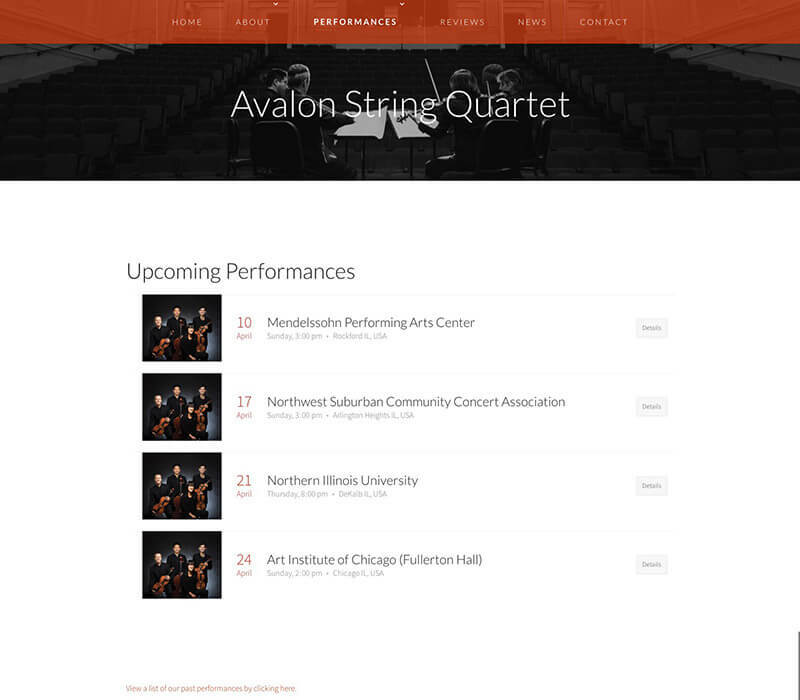 During the website development process, we fully-integrated a solution that allows the Avalon String Quartet to easily update this page with details for new concerts. 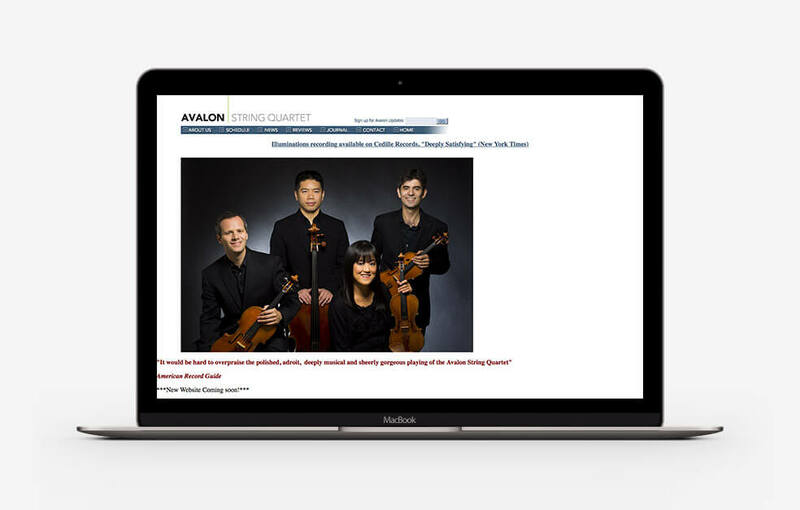 The Avalon String Quartet members required the ability to be able to update performances and press pieces on a regular basis. In order to facilitate website content updates, we designed and developed this website using the WordPress platform. 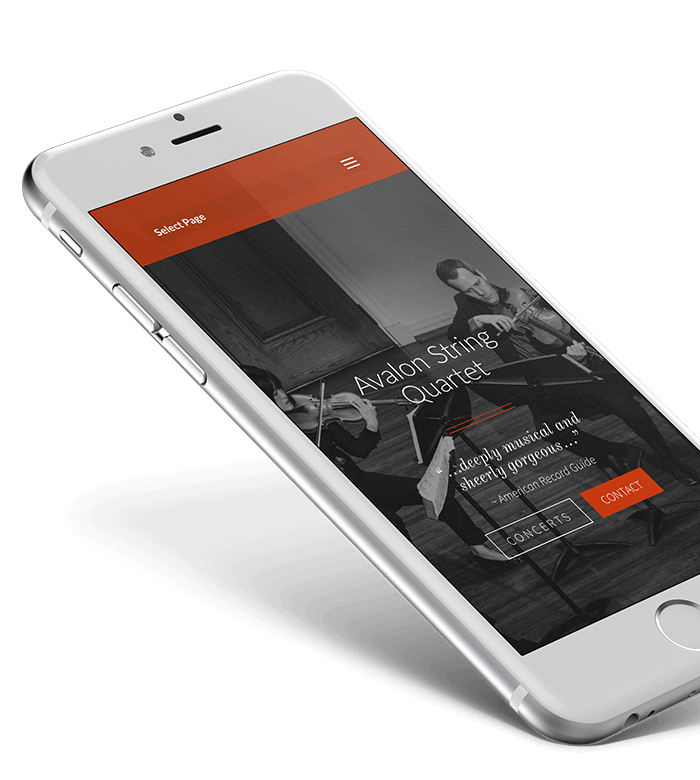 We design and develop every page using a clean content structure which allows for a seamless user experience post-launch.